The first World Cup on African soil started on Friday with a couple of draws.. Not exactly high tension but it always takes a while to settle down, but they’d want to hurry up.. it’s a tad on the dull side. 2002 was the last time the Republic of Ireland made it to the World Cup Finals. 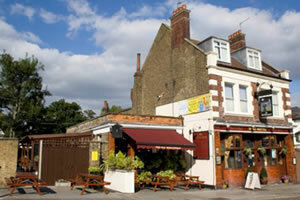 I was living in Enfield, Middlesex at the time, just on the outskirts of London. As I wasn’t from the area and didn’t really know anyone so I got a part time job a few evenings a week in the local pub. 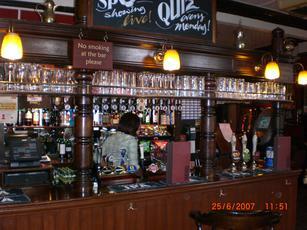 The Old Wheatsheaf was run by Wendy at the time. It really was a local’s local. I met some great people in The Old Wheatsheaf, people from all different backgrounds, Simon from Melbourne, Al the cricket score keeper and Brian the artist whose tiling expertise was more than helpful when all the tiles started falling off the bathroom. One day stands out in memory from The Old Wheatsheaf is when Spurs and Arsenal played… Where we were was pretty much between the two areas and there was a great friendly rivalry.. I wanted Spurs to win. When the World Cup was on, there was a buzz. Both Ireland and England got through to the second round and the games were played over the weekend of June 15/16 England beat Denmark 3-0 on the Saturday, while Ireland were playing Spain on the Sunday. For some reason the English fans decided to go nuts after their win on Saturday leading to the local constabulary to block of the town centre on Saturday evening. I put my name on the roster to work on the Sunday, I thought it would be fun. I arrived into the pub wearing my Meath Gaelic jersey and a tricolour wrapped around me. What happened next shocked me and is something I will never forget. It was totally impractical to wear a tricolour pulling pints of real ale. So it was suggested that I put the tricolour up in the pub. I did, over the fireplace. The Irish tricolour was hanging in a English pub in all its glory. As proud as I was of that, the support that the local English fans gave Ireland that day will always stay with me. Every kick, every foul, every tackle they cheered for Ireland like it was their own nation. Ireland lost that game on penalties. The locals were more annoyed I think than I was. It was an amazing day and the memories will stay with me forever.